- What type of song are you singing on a daily basis? - Is it a song of despair and discouragement or a song of hope and confidence? - The Lord wants to come and put a new song in your mouth. 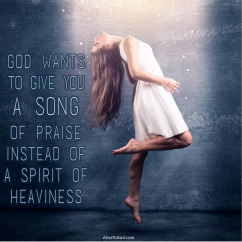 - He wants to give you a song of praise instead of a spirit of heaviness. Prayer: Lord, I ask that You will come and give me a new song in my spirit. Remove all the cares and burdens and cause my heart to leap again. Amen. - The Lord is the source of both natural and spiritual strength. - He gives us His strength in the midst of our weakness and despair. - Let His strength be the strength of your heart no matter what you are facing. - Don’t place your trust in things that fail, trust in Him with all your heart. Prayer: Lord, forgive me for placing my hope in the wrong things. 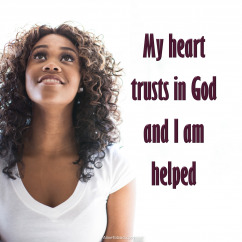 I choose to trust, rely on and believe in You with all my heart, and as a result I know that You will help me. Amen. 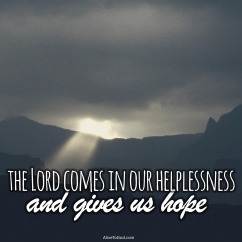 - We have this eternal hope that we will see our Lord face to face. - Things may go rough during our earthly existence. 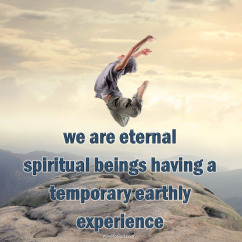 - But we are eternal spiritual beings having a temporary earthly experience. - No one can rob you of the joy of knowing you will see your Lord and God. Prayer: Lord, I long for the day when I will see You face to face. What a joy it is to know that one day I will see You and I can look forward to that with wonder and expectation. Amen. - How easy it is to allow our hearts to become troubled and concerned. - If we look around at circumstances there will be plenty of reason to fear. 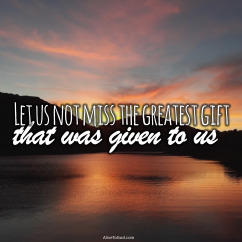 - But we have a wonderful Heavenly Father who loves and cares for us. - Your Saviour loves you and He tells you not to let your heart be troubled. 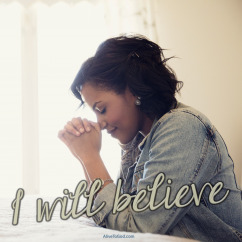 Prayer: Lord, I believe in You and I know that You are my Father. I will trust and rest in You and I will not let my heart be troubled, but I will believe. Amen. - Sometimes the Lord can ask us to do the strangest of things. - We may not even understand why He tells us to do or say certain things. - When this happens you can know that the Lord is setting you up for a miracle. 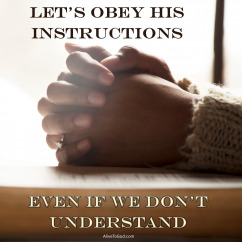 - Let’s obey His instructions, even if we don’t understand, and see what He will do. Prayer: Lord, may I be found faithful in obeying what You lead and tell me to do. I know that you can take simple acts of obedience and they can result in wonderful miracles from Your hand. Amen. - The Lord is the God of the miraculous and the supernatural. - He can bring water and fill valleys without rain falling. - He can turn situations around without any rational explanation. 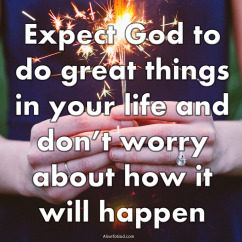 - Expect Him to do great things in your life and don’t worry about how it will happen. 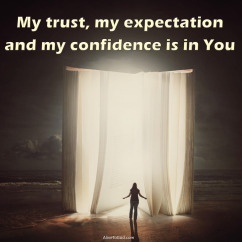 Prayer: Lord, I place my full confidence and trust in You. You are my miracle-working Heavenly Father and nothing is too difficult for you. Amen. - Oh that people would say this about you and me. 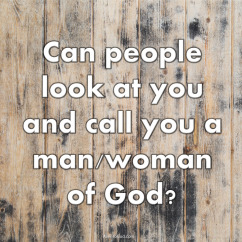 - Can people look at you and call you a man or a woman of God? - We should live our lives in such a way that we reflect His light. - Walk in faith and in the confident assurance of who you are in God. Prayer: Lord, I pray that as people look at my life, that they will see that I am walking in Your ways and endeavoring to please You in all I say and do. Amen. - In life we deal with the temporary and the eternal. - The temporary things are of little value and the eternal things are what really matter. - When our priority is to do what God wants us to do, we are busy with eternal things. - Don’t waste time on things that will pass away, let’s do the will of God. 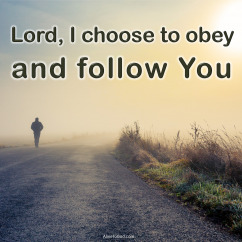 Prayer: Lord, I choose to obey and follow You. Help me not to be distracted and consumed by things and issues that have little or no eternal value, and may my life be lived in such a way that it is pleasing to You. Amen.